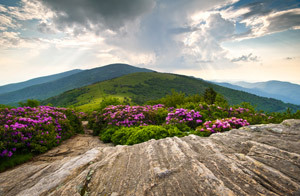 Whether you’ve visited the High Country of North Carolina before or have yet to come to this cherished region, you won’t be able to fully appreciate Blowing Rock weather for what it is until you experience it on a day-to-day basis, season after season. If you’re on our site, you’re most likely looking to purchase an area home for sale. Yes, even those who have never been here can determine it’s a place they want to live. Whatever the case, learning about the weather will only make you find Blowing Rock more appealing. Imagine golfing in spring, rafting in summer, hiking in fall, and skiing in winter. The distinct seasons afford an array of recreational activities. Archetype temperatures make desirable pastimes even more available and enjoyable. If you aren’t big on the outdoors, you’ll still delight in the weather. With an elevation above 3,500 feet, Blowing Rock weather isn’t what you may expect to see in the south. Cooler summers and snowier winters define this mountain region. Equally characteristic are the beautiful displays of vibrant leaves in fall. Spring shares in the year-round charm, as well, with its blossoms and freshness. Residents learn to love weather of the High Country. It’s a topic of discussion, an attraction, and a means to an end, all in one. The most notable thing about our weather is that it can’t be confined to a description. It’s unpredictable, surprising, and gratifying. Those who aren’t fond of cold temperatures still find parts of winter to relish, and so on. Browse our featured real estate, rest assured that you’ll be able to make the most of this area’s weather. It’s just one fraction of what makes our beloved region so inviting, but it’s a piece that can’t be overlooked. 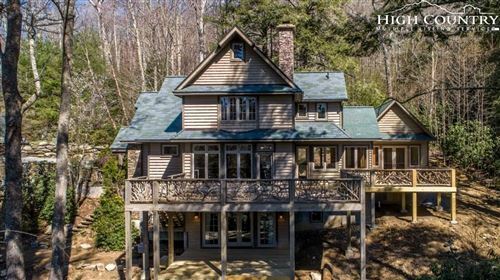 The Mountain Group at Premier Sotheby’s International Realty can guide you in learning more about Blowing Rock.